Last week, my husband visited his dad and brought home some beautiful peonies from his mother’s garden. Sadly, his mom passed away this past February. Not only was she a wonderful mother-in-law, she was one of my dearest friends. So seeing those beautiful peonies made me sad but also strangely comforted. 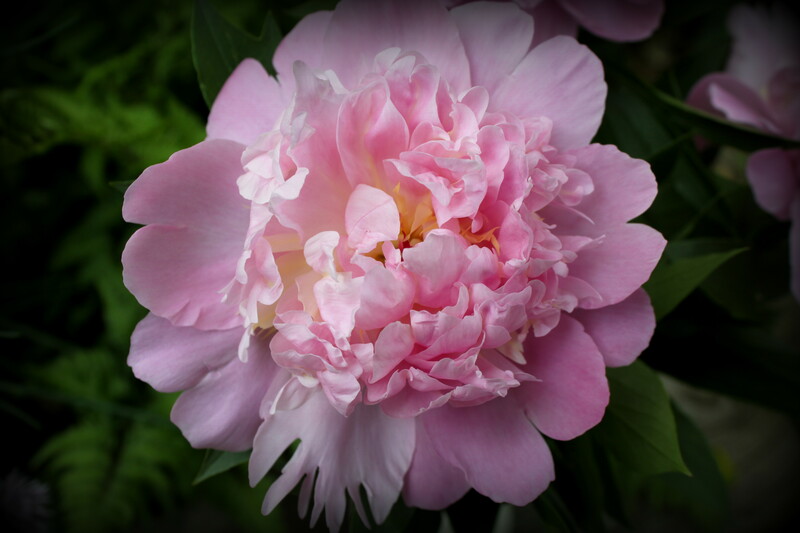 You see, peonies are my favorite flower and these particular peonies were an exquisite color of pink and the fragrance was out-of-this-world wonderful. I really feel it was a message of love from her to me. At least once a day for a week, I would breathe in that heavenly aroma, look into the faces of these flowers, and recall Mom’s kindness, remember her love, and be grateful for her time with us. Then I would say a little prayer, and then shed a tear. I know I have someone watching over us (along with my dad) and I will always remember that fragrant message of love from heaven. What a beautiful flower. It sounds like the hands that tended them belonged to a beautiful person. So sorry for your loss. Thank you Patti. She was. These are particularly gorgeous peonies, and nice photos! I love them too. I love to bury my nose in them & feel the cool petals on my skin. Glad that worked out the way it did. I think you were smart – emotionally smart – to link the sight and smell of the peonies with your moment of private grief. Thank you bluebrightly. Yes, it was a blessed moment. What a thoughtful post…My mother-in-law passed away last February and now we have her flower pots. I fill them with her favorite flowers to bloom all summer long. Thank you Lisa. How lovely. Someday when the old house gets sold, my husband hopes to transplant those peonies to our garden. Yes Lyliana, it is/was a blessing. Thank you. Yes, I think peonies will remind me of my mother-in-law from now on as well. Thanks for stopping by and commenting! Beautiful photos and flowers. I’m sorry for your loss, but what a blessing to have someone like that in your life. 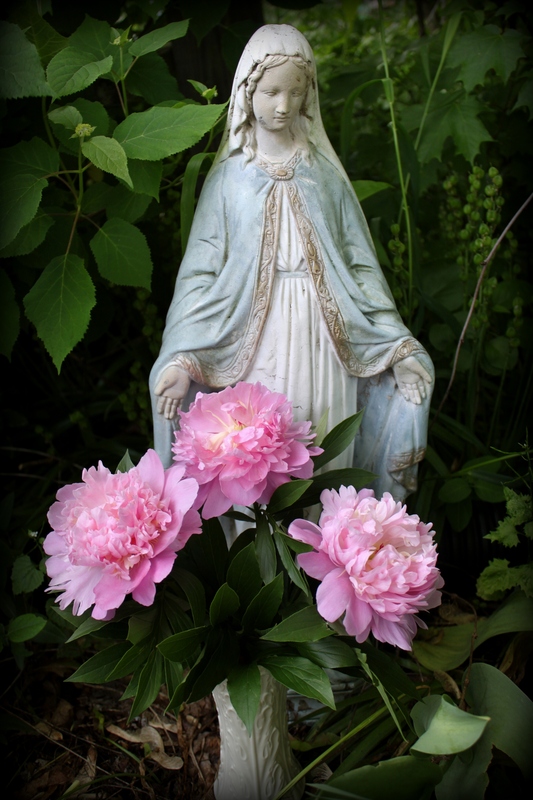 The peonies and Mary are just beautiful. Thanks for visiting my blog and writing such a nice comment today. I like your header! I’m so sorry to hear of your losses. Big hugs to you and yours. I too love Peony, their fragrance is heavenly. Thank you Victoria. You are so kind.